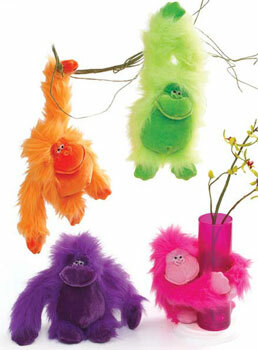 Cute plush orangutan (choose from neon orange, purple, citrus green or fuchsia). Measures 7" sitting. Velcro hands to wrap around your gift or gift basket.